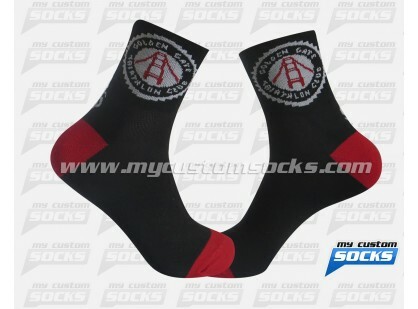 The Golden Gate Triathlon Club serves multisport athletes of all ages and abilities in and around San Francisco, Team Custom Socks was thrilled to work with them on the design of custom sock for one of their events . They wanted a low cuff sock in black, the design our designers created for them was simple but elegant. Our best fabric was used in the production of these socks. They were a hit at the event.